The Communication and Media Studies Department offers degrees in both communication studies and new communication media. These majors are designed to allow students to tailor their program of study to meet personal learning and employment objectives. The communication studies major is focused on scholarly analysis and application of human communication in all its complexity. It prepares students for careers as communication specialists in the public or private sector and in mass media. Communication studies majors receive a bachelor of arts degree in a program that balances theory, analysis, writing and applied skills development. 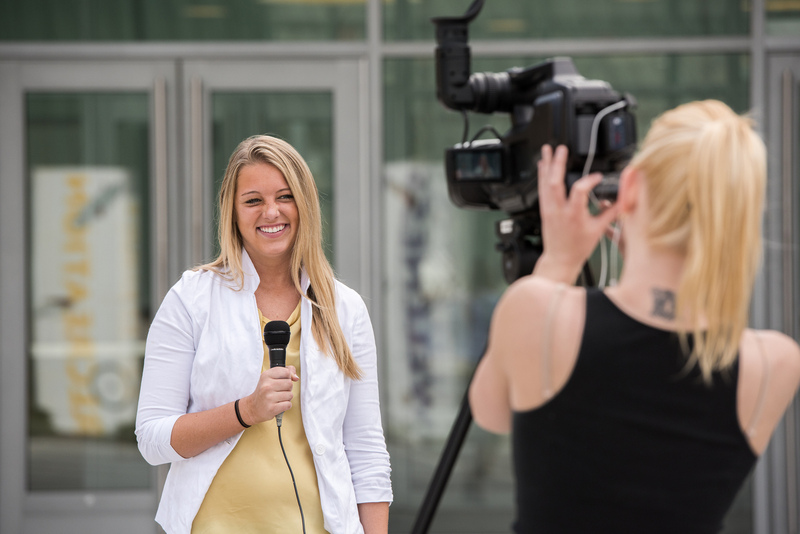 The new communication media major allows students to acquire the skills necessary for careers in the development of digital content for a variety of media and broadcast-related industries. Students also choose courses in related content areas including art, geography, sports information, and computer applications. Course offerings in both majors are supplemented through work with the student-run campus media, an extensive internship program and a highly developed portfolio of study and internship abroad opportunities.